The new iPod touch continues to be what it has always been: a thinner, less expensive, telephone-free version of the latest iPhone. 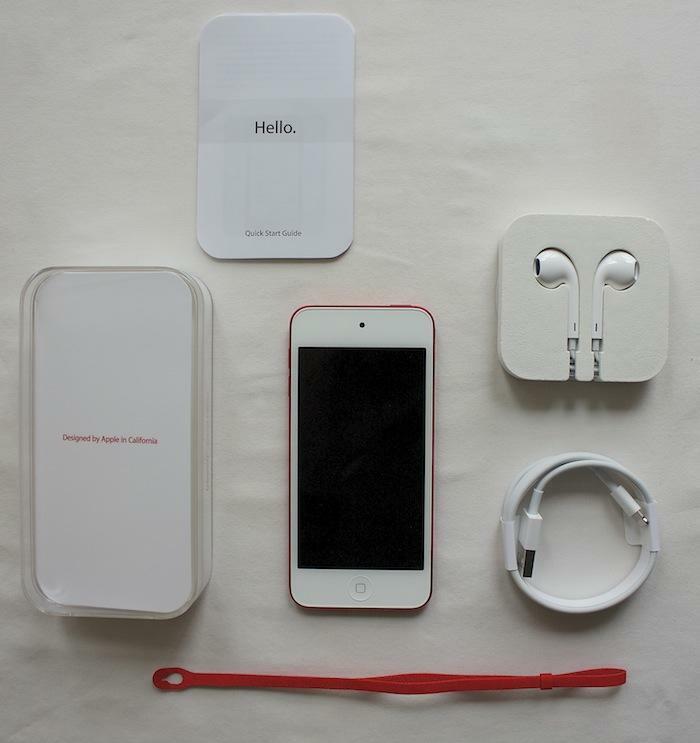 This year, it inherits several features of the new iPhone 5, notably its taller 4" Retina Display and Lightning connector. Compared to the previous version, the new iPod touch is also faster (thanks to an A5 chip) and gains much improved 1080p front and 5MP rear cameras, support for Siri and AirPlay Mirroring, new Bluetooth 4 and dual-band WiFi, and is now available (for the first time) in a variety of colors, each paired with a novel wrist strap that attaches to a retracting Loop holder. 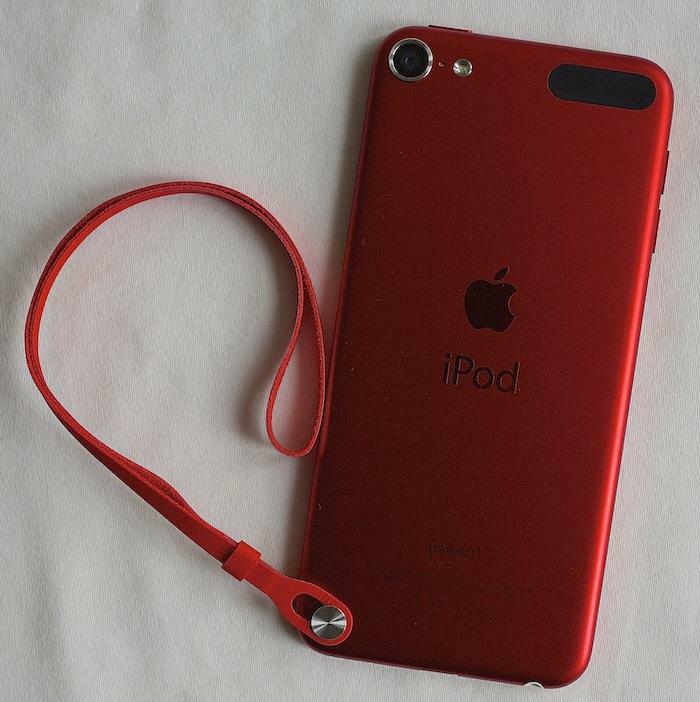 The new iPod touch is also bundled with Apple's new EarPod headphones, albeit without the integrated mic and playback controls that come with the iPhone 5 version. Also missing is a version smaller than 32GB or cheaper than $299. Physically, the newest iPod touch (besides offering the larger tall-widescreen iPhone 5 Retina Display) is most obviously differentiated by its bright selection of color options. Previous models were all a very serious looking mix of black and chrome, up to the release of a white-faced version one year ago. The new models now all have white faces except for the one dark grey model, which retains a black bezel. Along with these bright "fun" color options, the new touch also gets a retractable Loop holder, which pops out with a touch in order to attach the included wrist strap. Once connected, the "Loop" seems quite securely attached to the device, although it doesn't seem like one should trust a ribbon of paper-thin leathery material to hold a $300+ device to a child's wrist. In any event, it's interesting that Apple took its newest iPod touch into higher end territory while also giving it a mass market, youthful set of color options combined with a precision-integrated teenage wrist strap (unless you note that the reported demographics of the iPod touch indicate that 65 percent of them are used by young people under 18). The new iPod touch carries forward the same light, thin design as previous models (but 1mm thinner and a half ounce or 13 grams lighter), but adopts a new squared-edge profile resembling a chocolate bar, rather than previous models' rapidly tapering "boat keel" edges. Its significantly larger screen makes it feel a bit more fragile and "jumbo," and more oddly oversized than the similarly sized (but slightly thicker) iPhone 5. 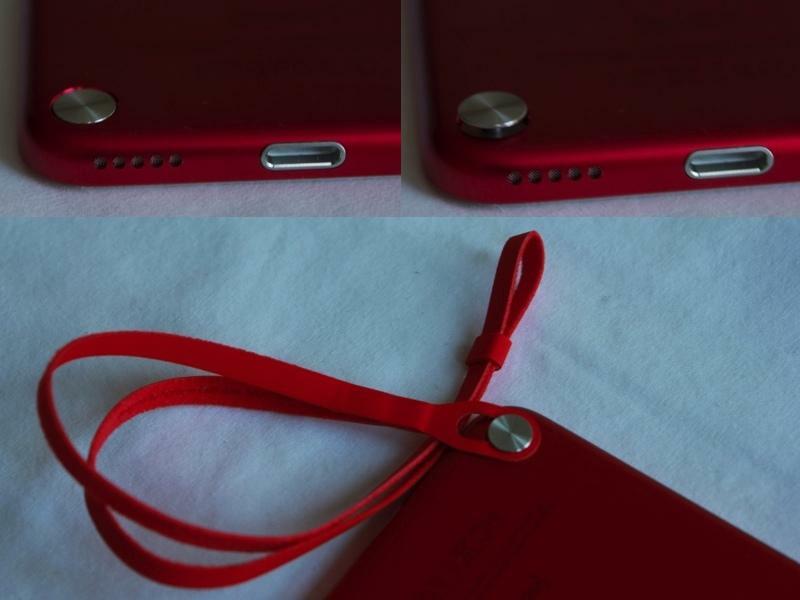 The thin new case is punctuated by the Loop holder mechanism, its LED flash, mic and camera lens (which pokes out further from the edge of the case than any previous iPhone, iPod touch or Mac), its standard buttons on the top and side (volume only, unlike the iPod nano), a window for WiFi, and its Lightning connector, headphone jack and speaker grill on the bottom. 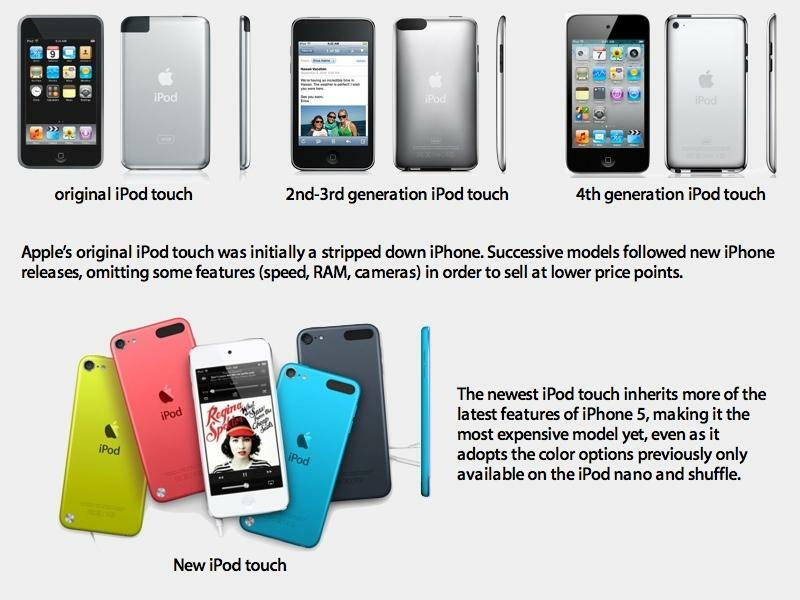 For the first time, Apple is now selling two parallel generations of the iPod touch, the same way it has sold multiple generations of iPhone in order to offer a range of prices. Last year's fourth generation iPod touch is being offered in $199/16GB and $249/32GB versions, in either black or white. The new taller, thinner, faster model is $299/32GB or $399/64GB, in six colors: black, silver, pink, gold, blue and Product(Red). 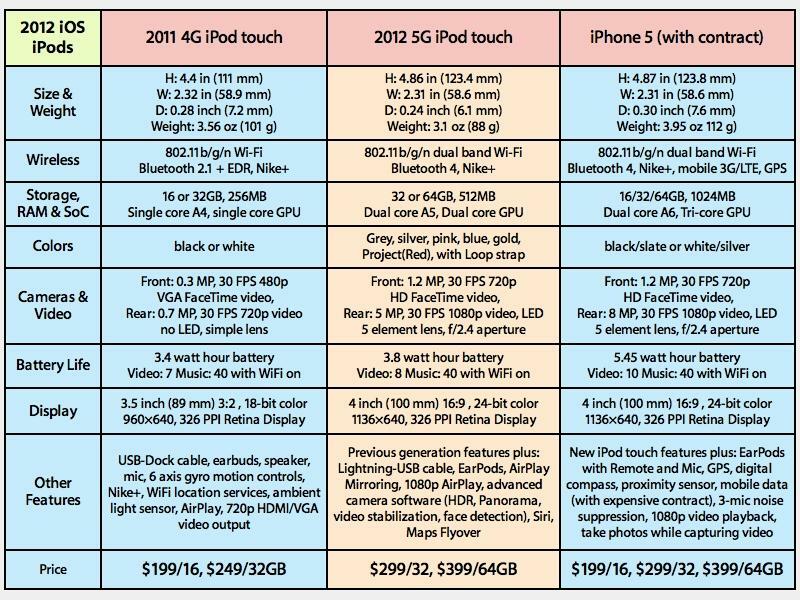 This dual-generation product line lets Apple take the newest version into more expensive territory. Historically, Apple has positioned its iPod touch a cheaper alternative to the iPhone, often outfitted with a slower processor and substantially weaker (or missing) cameras, for example. The $300/$400 new iPod touch is still slightly behind the $700-800 iPhone 5 in those respects, but its now considerably closer than in previous years, despite being half the price (without the typical ~$400 mobile contract subsidy). Of course, most people aren't likely to be on the fence about whether they want to by an iPod or sign up for an iPhone with a mobile contract. 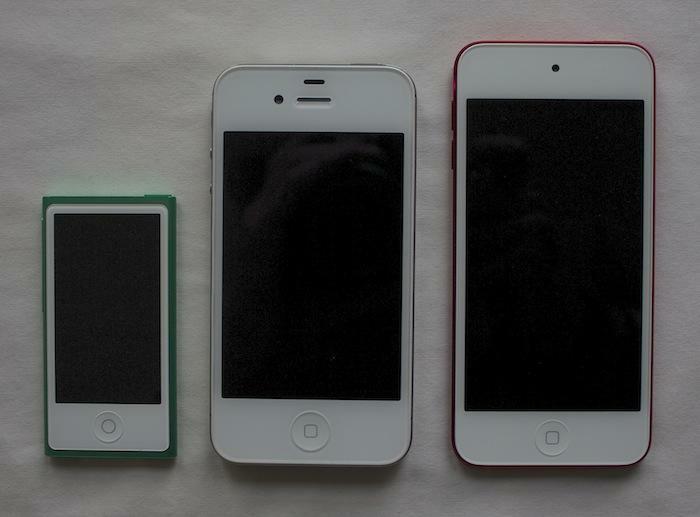 So the upscaling of this year's new iPod touch is really about offering a wider range of iPods. In addition to the two versions of the iPod touch, Apple has now repositioned the iPod nano as a sort of iPod touch-mini, as detailed in its own review. This effectively leaves the iPod shuffle as a distant, entry level $49 product behind the new $149 iPod nano, which returns to offering video playback for movies, TV shows and podcasts, as well as its typical features: music, photos, voice recording and Nike+. The new iPod nano doesn't get iOS apps though, leaving the whole of games, messaging, and Internet apps to the iPod touch line.